Chargebacks. They’re frustrating for business owners, and a beloved perk for credit cardholders. We’ll start with the basics about how chargebacks work, then get into what you can do to prevent them at your business. A chargeback is a forced refund from business to customer after the customer disputes a payment. Instead of getting a refund directly from the merchant, the customer initiates the chargeback by bringing a claim to their credit card-issuing bank. The bank investigates the claim by requesting documentation and other proof of the transaction from the merchant in what’s called a retrieval request. If the bank finds the customer’s claim to be valid, they remove the funds from the merchant’s account and replace them in the customer’s account. If the issuing bank and merchant bank can’t come to an agreement about whether the chargeback is warranted or not, the credit card company steps in to make the final decision in an arbitration process. There are many reasons customers initiate chargebacks, but the big ones include: fraud, billing errors, non-receipt of service or merchandise, and receiving services or merchandise that were not as described. The chargeback system is a form of consumer protection, so most financial institutions will rule in favor of the cardholder, making chargebacks difficult to avoid entirely for business owners. There’s also the possibility of “friendly fraud”—when a cardholder tries to charge back a payment that was actually valid. 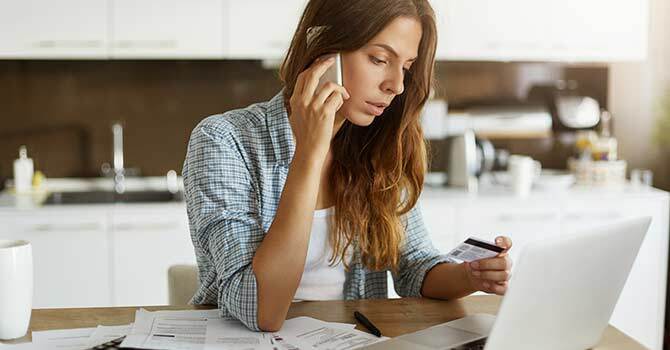 Excessive chargebacks can cost your business a significant amount of money, credibility, and even your ability to process credit cards if they get too out of control. Your return policy should be openly displayed to customers before accepting any payments, and it should be written in plain language. Sometimes customers will try to get a chargeback because they think they can’t get a refund from the business directly. Issuing refunds promptly when due is also important, as refunds are the lesser of two evils when chargebacks come into the picture. Excessive chargebacks can contribute to higher processing rates and too many can land your business on the MATCH List, previously known as the Terminated Merchant File (TMF). Most merchant account providers don’t accept MATCH listed merchants, so excessive chargebacks can leave you without a way to accept credit cards in extreme cases. Have you ever looked at your own credit card statement to find a charge you don’t remember making? Business names that appear different on billing statements can confuse customers. If they don’t recognize the name of your business on their card statements, they might dispute the charge as fraud. This is especially true for products with long order-to-fulfillment times. The transaction date might be far from the product delivery date, making it hard for the customer to associate the two when an unfamiliar transaction shows up on their statement. Confirming that the address the cardholder provides matches the address the card-issuing bank has on file can help prevent fraudulent purchases. Similarly, CVV/CVC helps confirm that the customer has the card on hand, rather than just a stolen account number and expiration date off the front of a card. This is particularly useful for businesses accepting payments over the phone or online. Always use the verification services available to you. This seems like a simple one, but many customers initiate chargebacks because of false advertising. Chargebacks keep businesses accountable by making sure they are providing quality products and honest advertising. Describe your products ad nauseam so that customers have all the information they could possibly need (e.g. dimensions, weight, realistic descriptions) to avoid the “not as described” chargeback reason code. If you’re delivering a product, it’s wise to give a customer the tracking number so they have an idea of its arrival date. Requiring a signature upon receipt of the product will further protect you from claims that they never received it. A business contact number should be provided and customer service department easily reachable. When a customer is having trouble getting in touch with a business, they are more likely to contact their bank for a chargeback instead. Encouraging feedback with follow-up surveys is another tool to measure and ensure customer satisfaction. Depending on the card brand, chargebacks can occur quickly after a purchase, or up to a year after the transaction. In response to claims, the business will have to provide proof of the customer’s payment. Make sure you keep signed authorization forms for recurring billing plans, signed customer receipts, signed delivery receipts and invoices on file. It’s also important for card-present merchants to remember to replace ink cartridges in receipt printers and keep the white receipt copy instead of the yellow. You might need to photocopy or scan them, and illegibility could cost you a chargeback. Although this seems like a basic prevention tool, it can save your business from chargebacks that occur at your fault (e.g. accidental double billing). Train your employees to check that they’ve entered the correct amount, account numbers and other transaction information. Make sure you have safety nets in place to monitor employee performance and flag errors. Phone calls that are recorded for quality assurance purposes are helpful to confirm credit card information provided over the phone. Whenever you have the chance to make a transaction in person rather than over the phone, take it! Keying in cardholder data leaves margin for human error and also comes with a higher processing rate. Recurring billing models have higher-than-average chargeback ratios because customers often aren’t aware, or forget, that they’ve signed up for monthly auto debits to pay for a membership or other long-term financing plan. One example is trial-before-sale businesses that start recurring billing plans when the trial period ends. They often confuse the customer with a fine print agreement when they sign up. We encourage businesses to give full disclosure of recurring billing plans, keep documentation that the cardholder agreed to them, give them an “opt-in” choice at the end of the trial, provide an accessible outlet for the customer to cancel it as needed, and follow through with cancellation requests promptly. Payment gateways like Authorize.net let merchants set custom “rules” for accepting payments. They can set transaction amount maximums, daily amount maximums, flag orders that have mismatched billing and shipping addresses, and more, so their payment software will know to decline or hold orders based on the set criteria. You can read more about that here. The EMV liability shift is in full swing for a reason! It’s the most secure method of accepting card-present transactions. If you don’t already have one, you can learn more about why you should install one here. NFC mobile payments, like Apple Pay, Samsung Pay and Android Pay, are also ultra-secure. In the face of increasing security issues with magnetic stripe cards, investing in an EMV and NFC enabled terminal pays off in the long run. The longer an order is pending, the longer the customer has to dispute it. Friendly fraud can stem from buyer’s remorse, confusion about delivery date, or even just because a dishonest customer wants to get their money back. For products or services that are to be delivered long after the payment, consider splitting the payment into an upfront deposit and the remaining balance closer to the fulfillment date. It’s nearly impossible to be in business for any lasting period of time without ever running into a chargeback. However, these universal tools can help you avoid preventable chargebacks and manage the inevitable cases.